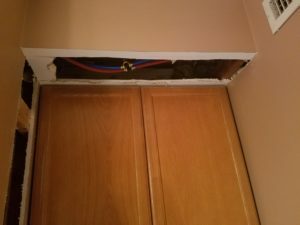 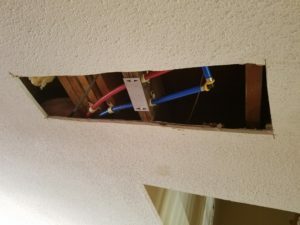 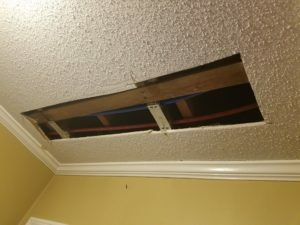 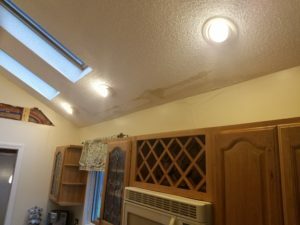 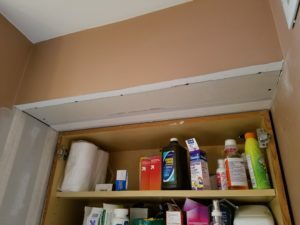 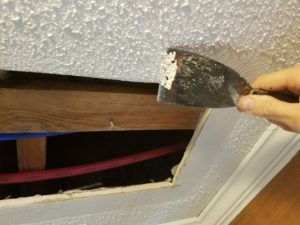 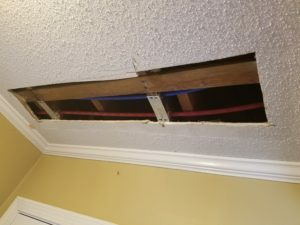 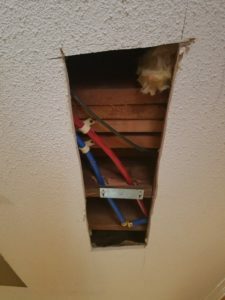 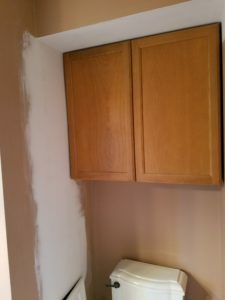 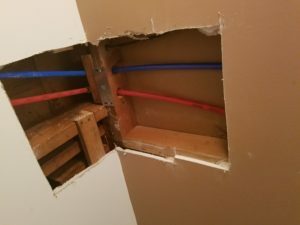 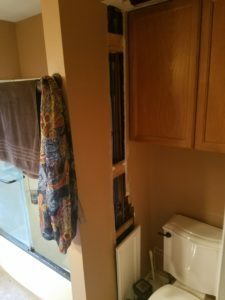 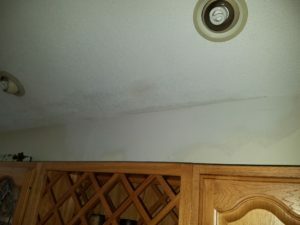 Due to a plumbing leak, my customer’s plumber needed to open up the walls in several areas of the home in order to replace damaged copper pipes with Pex flexible piping. 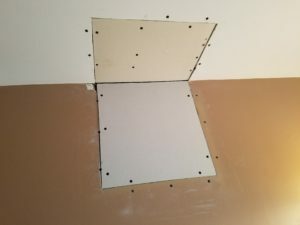 I was then called in to start the drywall repair work. 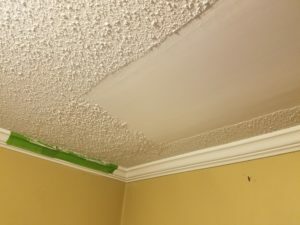 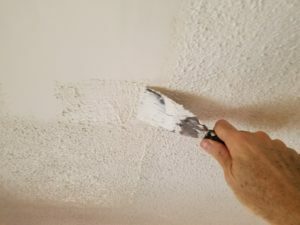 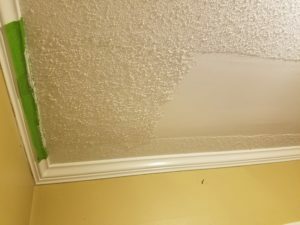 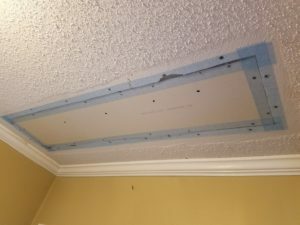 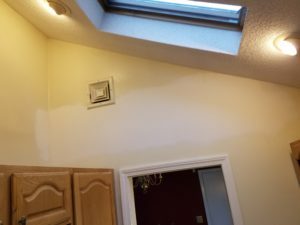 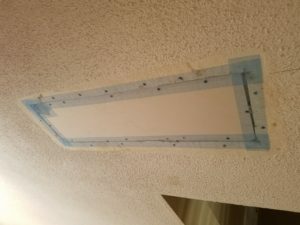 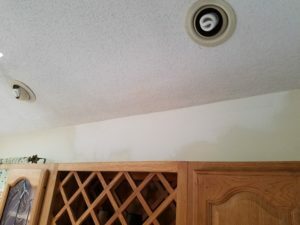 First I replaced and taped the drywall, then, in some areas, had to re-texture the ceilings by hand to match the existing texture. 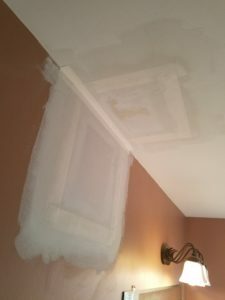 When I’m doing drywall repairs like this I usually use mesh tape along with Sheetrock 20 plaster (hot mud) which can be reapplied about every 20 minutes. 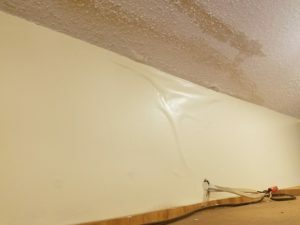 The Sheetrock 20 plaster dries much harder than conventional joint compound which makes for a better job. 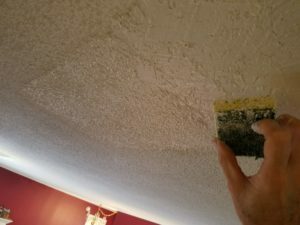 Removing texture in preparation for plaster. 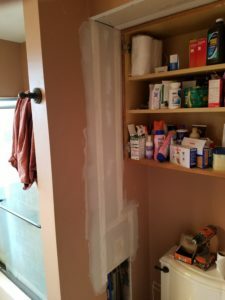 Installation of drywall and mesh tape in preparation for plaster. 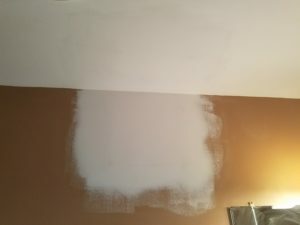 If you have a drywall repair project you need done or have any questions please feel free to contact me.